This is an introduced species that is fairly common throughout the country. 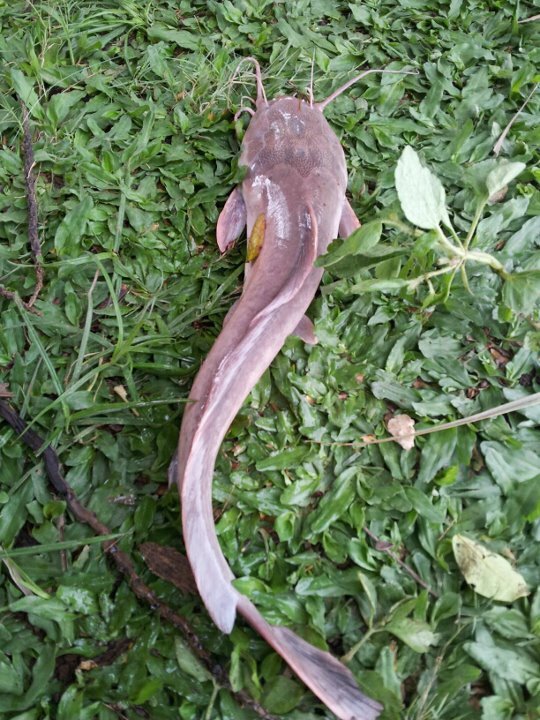 It is also known as African Sharptooth Catfish. It is mainly valued as a commercial species in the aquaculture industry where it is raised and sold in markets, restaurants, and supermarkets. It is very similar to the local “Native Hito” species, only it grows much larger and usually has a lighter grayish color. I have yet to catch one of these in the wild, but they are commonly stocked in pond that can be fished. 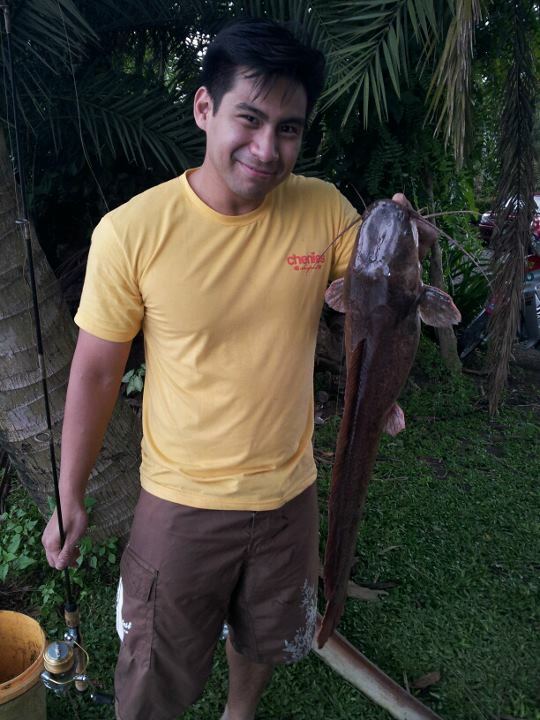 The one in the picture is a 3 kilo African Hito caught on a piece of chicken in a pond in Laguna. The other pictures is a smaller one caught in the same pond. Baits that these fish will take are chicken liver, guts, meat, worms, and other stink baits. Posted on August 29, 2011, in Catfish (Hito). Bookmark the permalink. Leave a comment.